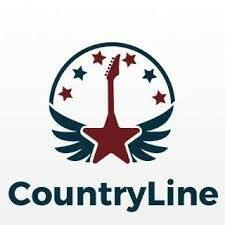 CountryLine is the UK’s and in fact the worlds first and only global app for Country and Americana fans. The app serves as a fan club for fans to watch exclusive videos, interviews and live sessions from all their favourite artists. With some videos being free to watch, the rest require a subscription of only £2.99 a month which allows you to watch exclusive videos that can only be seen via the app. Tea With Twinnie – UK BMG artist Twinnie interviews country stars in an exclusive tea themed environment. Exclusive Interviews with mega stars such as Sir Elton John (talking about his Reimagined album which features all country artists) Ashley McBryde, Ruston Kelly and so many more country and Americana acts from all over the world. With the app growing bigger and better by the day, CountryLine is an app you want to be a part of. To join download the app here you will also be able to see all the terms and conditions and more about it on the app description. Which UK singer/songwriter hosts CountryLine’s Tea interviews? Tea with …….. Entering via all three platforms will give you three entries, so more of a chance. Harvey Goldsmith presents The legendary American singer/songwriter/author Jimmy Buffett The London Palladium, Monday September 23rd.